Android Nougat has a lot of features hidden under the hood, but one of the least used by apps, yet most convenient is app shortcuts. Not unlike 3D-Touch on iOS, these app-specific shortcuts make it easier to access certain portions of an app directly from the homescreen. It’s not something you’ll use every day, but it’s undeniably handy. At this point, it’s been several months since Android Nougat debuted, and while adoption hasn’t been impressive, plenty of users on popular smartphones have access. Sadly, app shortcuts are only available on Android 7.1, unless you’re using a 3rd-party launcher which has support, like Action Launcher 3 or Nova. However, you’ll still need to be using one of a select few apps that actually support the feature, so let’s take a closer look at 9 non-Google apps taking advantage of app shortcuts. My favorite SMS client is Pulse Messenger thanks to its cross-device syncing capabilities, along with its fantastic look and feel. For app shortcuts, Pulse takes a pretty predictable, yet useful approach. You’ll get a list of your most frequently contacted contacts, along with the option to start a new conversation. I find these options especially useful when taken out of the app shortcut menu and dropped directly on the homescreen. Evernote is usually pretty quick to support new Android features, and app shortcuts were no exception to that. A while back the app added support, and in a very useful way too. A long-press reveals options for a quick search through your notes, a shortcut to starting a new simple note, audio note, or camera note. I try to stay pretty regular with listening to my favorite podcasts, and Pocket Casts is my favorite app to do that. With app shortcuts, Pocket Casts makes it a little easier to start listening to your favorite shows. 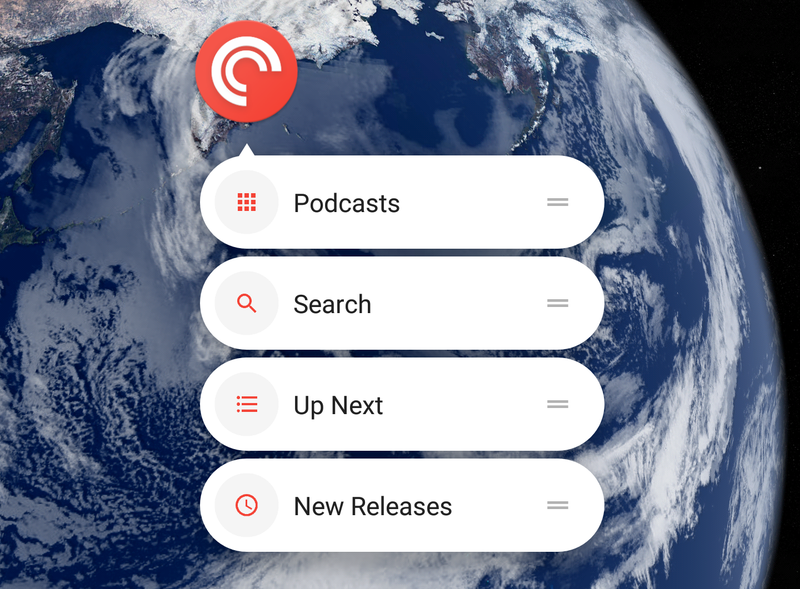 The app adds shortcuts for your podcast subscriptions, searching for new podcasts, seeing what show is next up in the queue, and to check your subscription feed. This has proven valuable several times for me when jumping in the car and try to get to my favorite podcast on the go. Task managers can also make excellent use of app shortcuts, and Todoist shows this off front and center. The app offers three shortcuts ─ “Today,” search, and add a task. The latter two options are pretty self-explanatory and “Today” pulls up any overdue tasks or those assigned to the current date. My favorite tracking app, thanks to a recommendation from my colleague Justin Duino, is AfterShip. It’s a simple, clean package tracker that makes it easy to keep tabs on your various shipments. The app’s shortcuts are equally simple, offering just one, a shortcut for adding a new shipment. Twitter is a service that just makes sense for tools like app shortcuts. Predictably, the official Twitter app and third-party clients like Flamingo offer up a quick shortcut for launching a new tweet or direct message, as well as searching through Twitter for a specific phrase or topic. 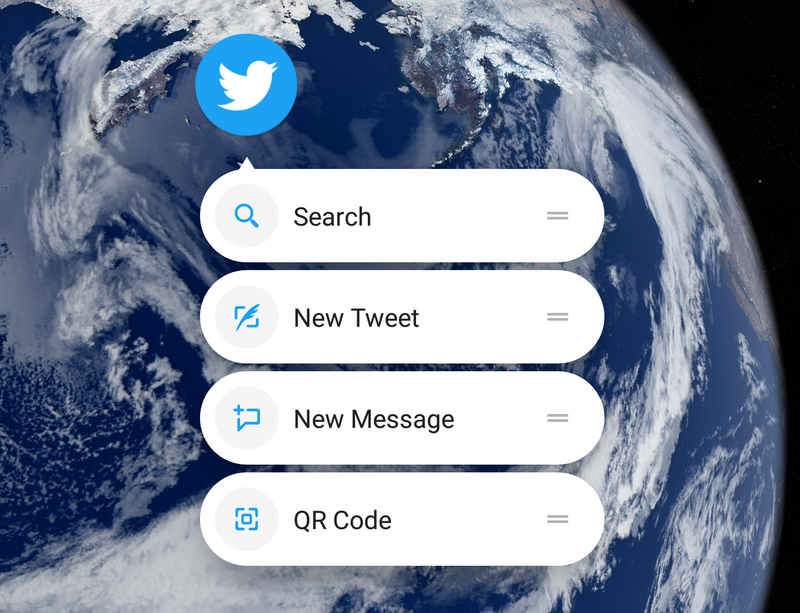 Flamingo also offers the option to directly open up your profile, while the official Twitter for Android app offers a quick shortcut to your profile’s QR code, making it easy for other users to follow you. Like Gmail, Outlook for Android also supports app shortcuts, offering up three primary shortcuts for viewing the calendar, creating a new calendar event, and composing a new email. They’re simple, come in handy, and save time, just like app shortcuts are supposed to do. Last, there’s eBay. 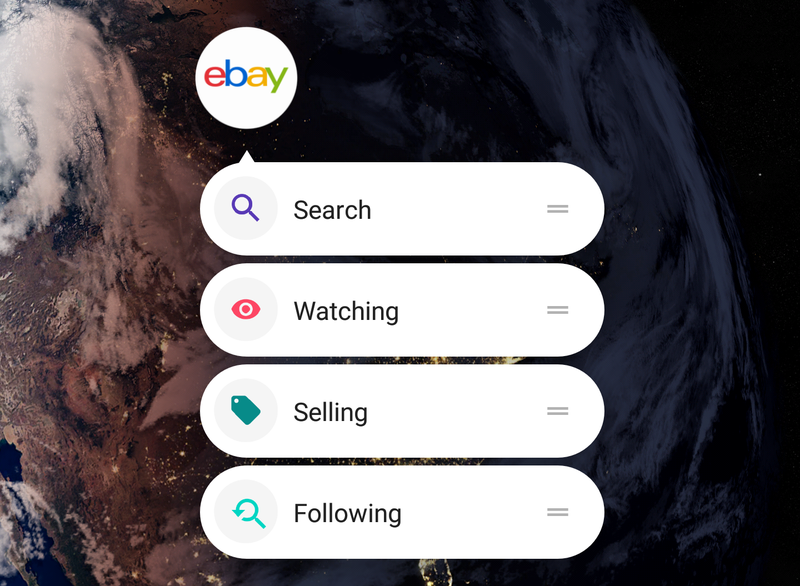 Like the other apps on this list, eBay makes use of app shortcuts by offering shortcuts to various sections of the app that are used on a regular basis. Following, watching, search, and selling, the latter of which certainly came in handy while selling my Nintendo Wii U (Switch here I come!). These are just a few common apps we’ve noticed using app shortcuts, but if you’ve found any others that come in handy, be sure to drop a comment below and let us know about it.